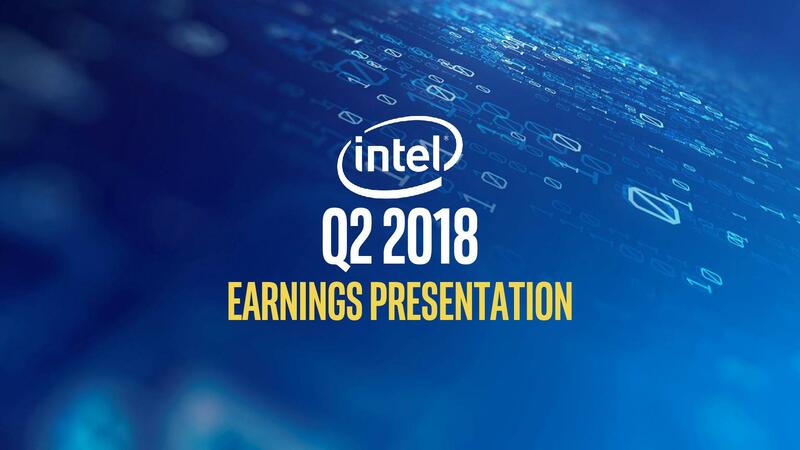 Intel Corporation (NASDAQ:INTC) reported its Q2 2018 quarterly earnings today after a financially spectacular quarter. The stock, however, fell by more than 6% in after-hours trading due to some fundamental weaknesses that could potentially show up within a year or so. The company has given increased guidance for the next quarter. 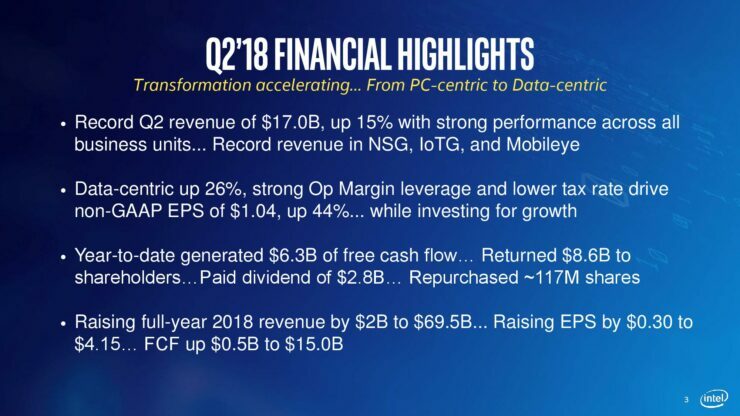 Record second-quarter revenue was $17.0 billion, up 15 percent year-over-year (YoY); data-centric businesses* grew 26 percent and PC-centric revenue grew 6 percent. 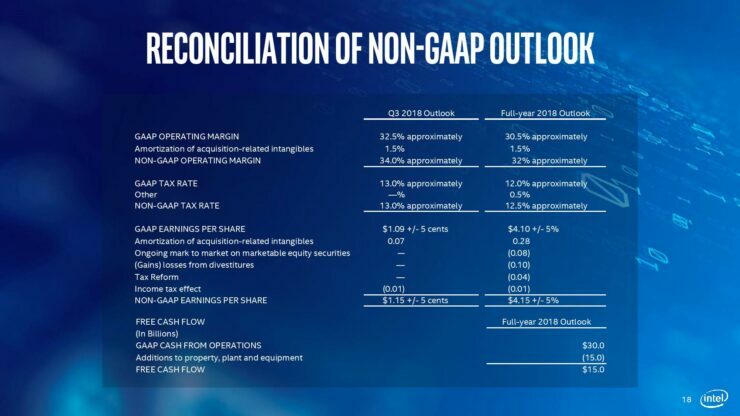 GAAP earnings-per-share (EPS) of $1.05 rose 82 percent YoY; non-GAAP EPS of $1.04 was up 44 percent. 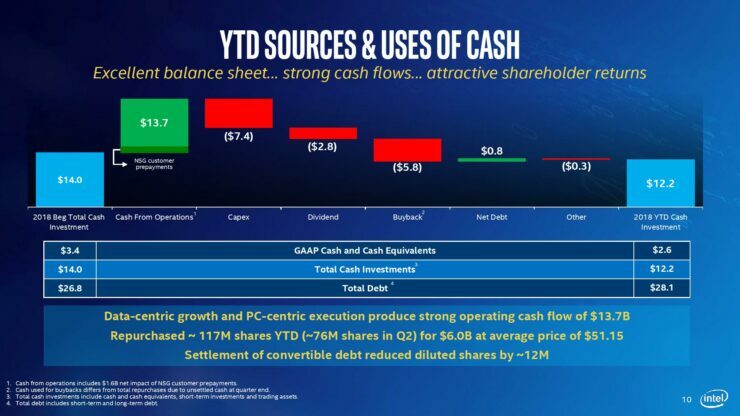 Year-to-date, generated $13.7 billion in cash from operations, $6.3 billion of free cash flow and returned $8.6 billion to shareholders (dividends of $2.8 billion and share repurchases of $5.8 billion). Raising full-year revenue outlook to approximately $69.5 billion, GAAP EPS outlook to approximately $4.10 and non-GAAP EPS of $4.15; up $2.0 billion, $0.31 and $0.30 from April guidance, respectively. Disclaimer: I do not hold any position in Intel, AMD or NVIDIA stock (or the surrounding ecosystem) and have no plans on doing so in the near future. This analysis is provided on an as-is basis for the reader free of cost. 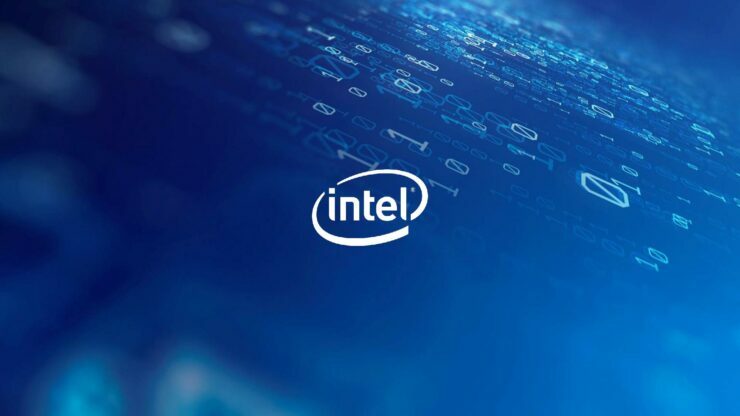 The chip business has always been a game of fundamentals, the process technology is the bread and butter of Intel and the company currently owns the most advanced fabrication facilities on planet Earth. All that, however, could potentially change by 2019. 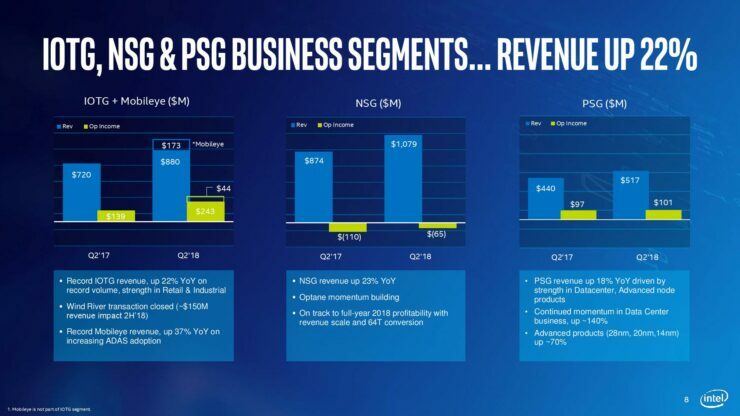 You see, Intel has a problem – a 10nm sized problem at that. Their 10nm process is not only in trouble, it’s pretty much broken. I have heard reports that the company has given up on their original approach and is redesigning the process from scratch, which takes time. It also means that the 1.5-2 years lead it enjoyed over third party pure-play foundries like TSMC and Samsung has diminished for the first time in a decade. 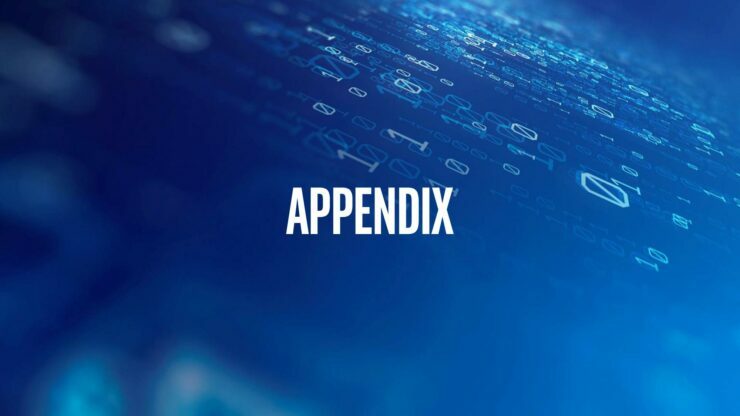 The company has been facing a very strong amount of competition from AMD for the first time in a decade and was taken by surprise by the versatility of its rival’s Zen offerings. 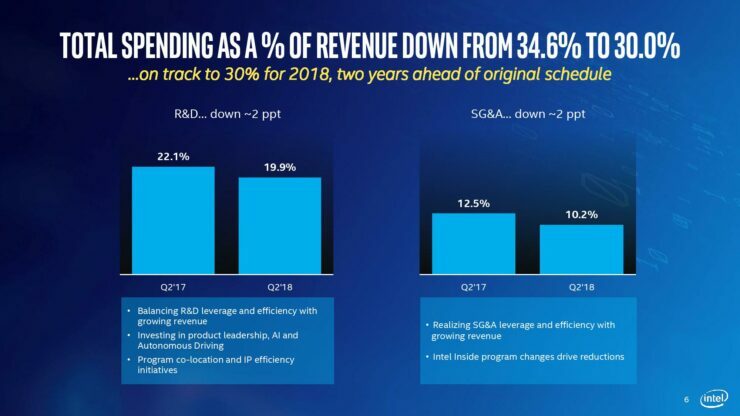 All that, however, would not have put a dent in the company’s stock if it wasn’t for the fact that AMD seems to be on track to shift to TSMC’s/GloFo’s 7nm process which is somewhat comparable to Intel’s 10nm (remember, marketing names aside, similarly named nodes are usually not directly comparable) while Intel’s 10nm remains MIA. 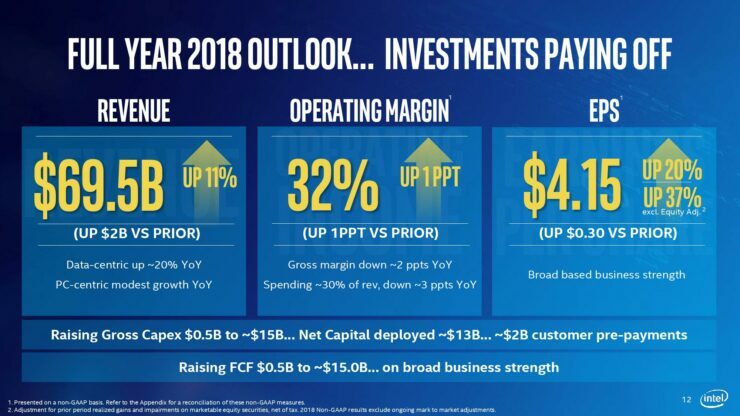 The good news is, however, that Intel appears to have spotted what it was doing wrong and has apparently taken steps to fix it but the cost it has paid is its precious lead over the pure-play foundries, something which shareholders might consider one of the more valuable things the company has to offer. All that said, my outlook on Intel remains very positive and I would consider any good buy-in position something worth taking for two reasons. Firstly, nodes do not have problems that are contagious. 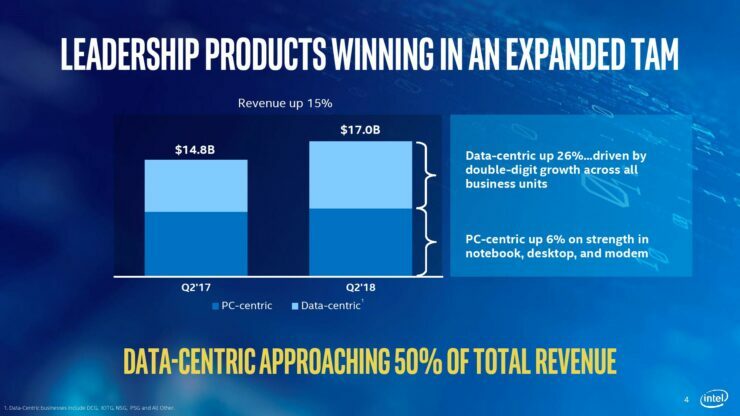 While Intel’s 10nm has stumbled that does not mean 7nm will face the same issues and difficulties at transition. 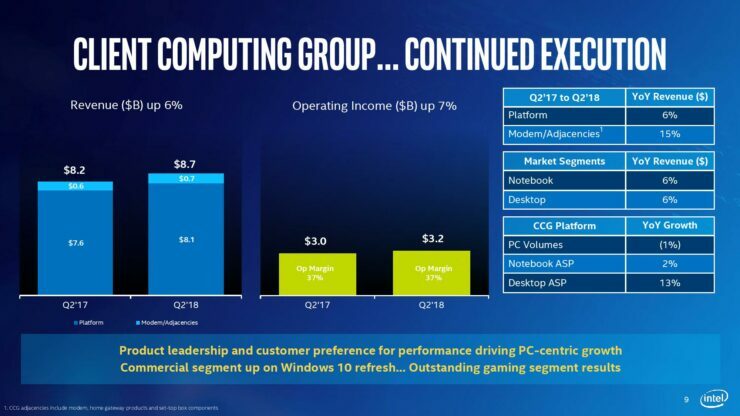 It is completely standalone and the chances are Intel will be even more conscious next time. 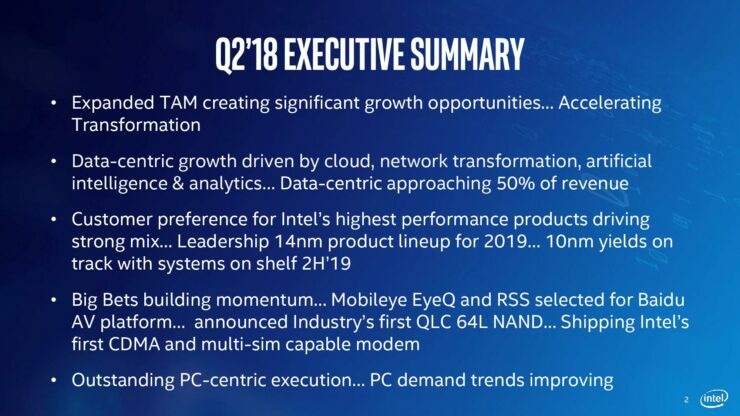 So once Intel gets over the 10nm debacle, it fundamentals on the process side will very quickly get back on track with 7nm. Secondly, the company has begun what is quite possibly the biggest diversification in its entire history: that of the GPU. 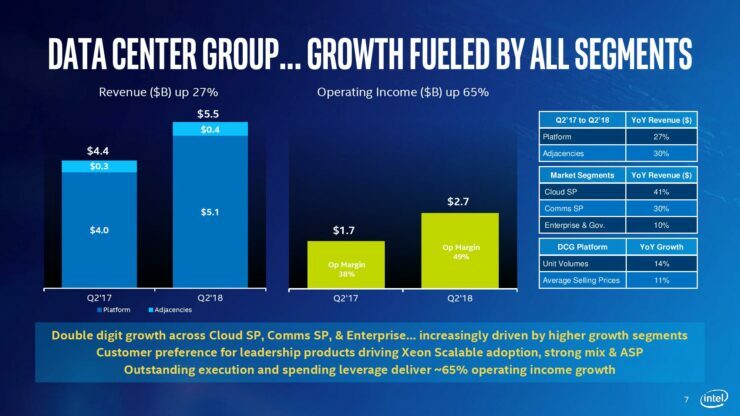 Intel has always been primarily a CPU company, but recently the company has very aggressively begun hiring talent that could make it a GPU player. It poached AMD RTG boss Raja Koduri, chip legend Jim Keller and veteran marketers like Chris Hook. You can read the complete list of they have poached in the last few months here. A GPU will not only allow the company to enter the gaming market in full force, but it will allow it to partake in one of the biggest growing markets right now: AI and GPGPU. It missed out on the smartphone boom, and it sure as hell doesn’t want to miss out on the machine learning era. 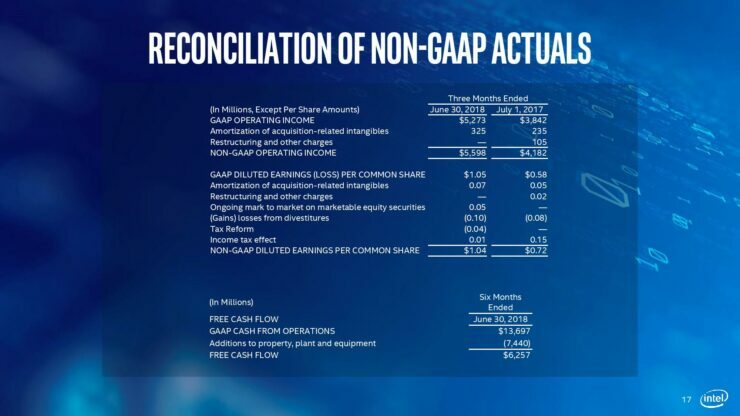 It is crystal clear that the company is very serious about expanding the AMD-NVIDIA monopoly to a triopoly – and when it does so, all of its sins should be forgiven. 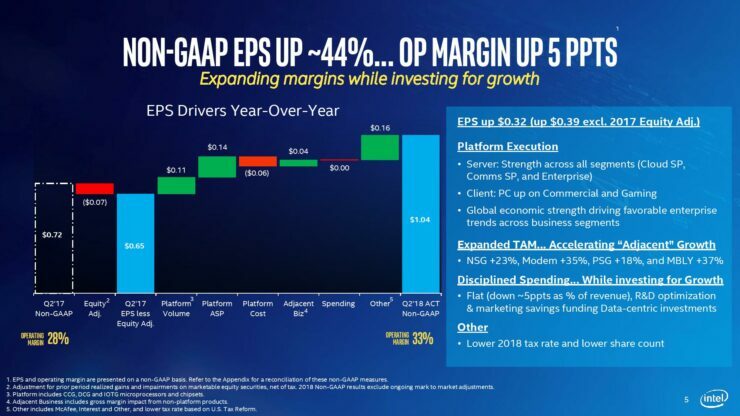 Intel is guiding an operating margin of 32.5% and GAAP EPS of $1.09 on back of $18.1 billion revenue for Q3 2018. 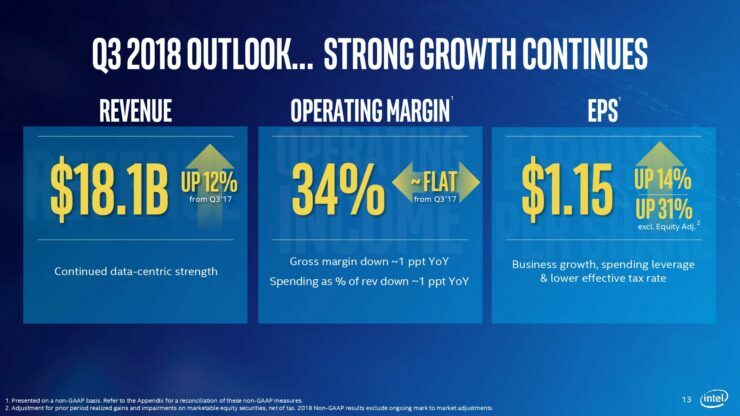 For the full year of 2018, they are guiding operating margin of 30.5% and EPS of $4.1 on a yearly revenue of $69.5 billion. The effective tax rate is going to be 12% while as the full year CAPEX is slated to be roughly $15 billion.